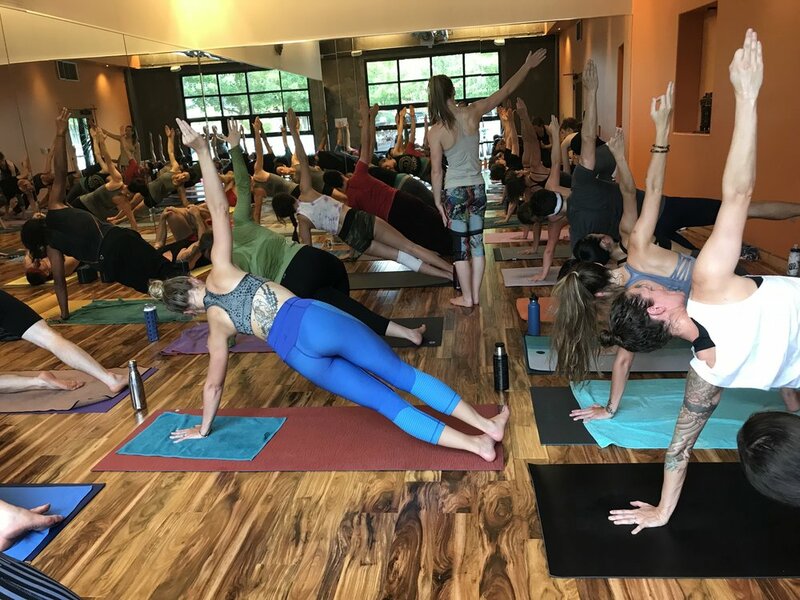 In our 300-hour program, you'll learn two full-class sequences: a hatha class, consisting of 35 poses and eight pranayamas, and a power vinyasa class that is accessible and challenging for students of all practice levels. You'll have more than 10 hours of yoga anatomy training, taught by a medical doctor and yoga teacher. You'll also walk away with a solid understanding of what yoga is, as a result of the philosophical lecture series (see topics below). Overviews of various styles of yoga, including Universal, Tha (Yin), Yoga Nidra, etc. Yoga Philosophy lectures cover topics such as: Tantrik yoga, History of yoga, Karma, Dharma, Yoga Sutras of Patanjali, Samskaras, Major styles of yoga in modern times, Role of music in yoga, Essential differences between Hinduism and Buddhism, Playbook of Happiness. Wednesdays are reserved for lectures on yoga history and philosophy. On Fridays, we cover pranayamas, bandhas, and the lesser-known topics and practices of yoga. Weekends typically start with yoga classes, followed by posture break-downs, sequence analysis, anatomy and posture alignments, and dialog practice in small groups and one-on-one. Syllabus and coordinating dates provided upon submission of application, deposit payment and acceptance.